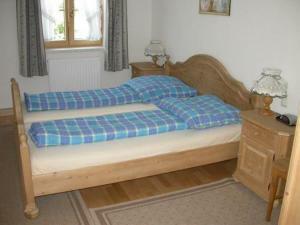 Comfortable accommodation in Obertraun, great for cyclist, families with child, beautiful region, nice people. Mr. Feuerer is a true gentleman and it was a very nice week. For skiing with children is very good to go to Postalm Arena, is little bit longer way, but it pays off. Prices in Hallstatt restaurants are higher, so if you want to save money, eat somewhere else. The sea is really beautiful. 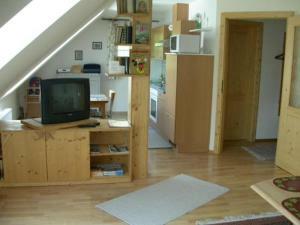 Spacious flat, clean, all functioning well and seems to be new. Short distance to beach. 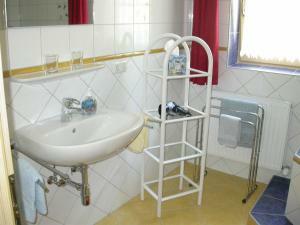 The apartment was well equipped, big rooms, good location (5 minutes from the lake). The apartment was very spacious and comfortable. It was very near the train station and bus stop. It was in the centre of the village. Bus access was easy for getting to the mountain cable car and to Hallstat. 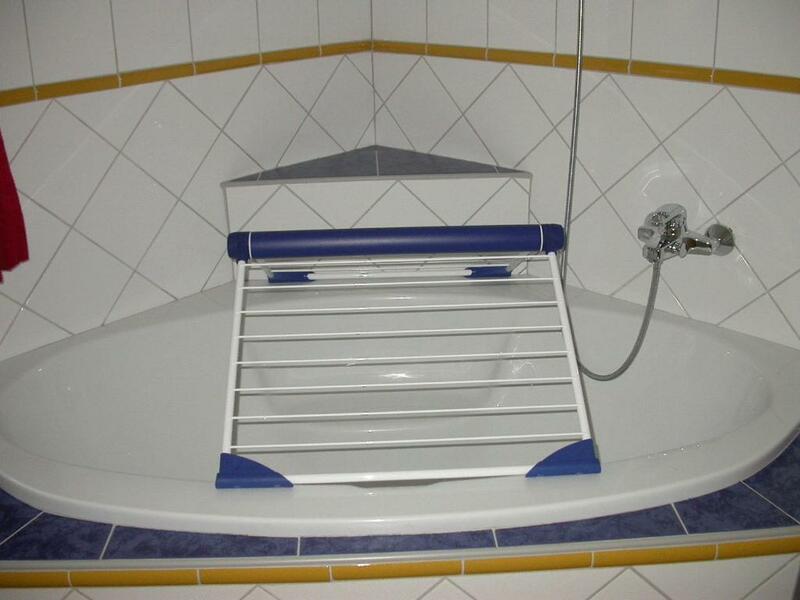 Dobře vybavená kuchyň, čistota, úžasný výhled z oken. Alles bestens. Viele Möglichkeiten für Ausflüge (Krippenstein Seilbahn mit Eis- und Mammuthöhlen, Hallstein, Salzbergwerk, Ausflugsschiff auf dem See) und Kinderbeschäftigung im Strandbad. Salzburg st auch nin noch vertratbarer Nähe für einen Tagesausflug. Allerdings: Autozufahrt und Parken nicht einfach, ggf. Bahnfahrt erwägen. Restaurants Koppenrath (super) und Höllwirt (gute Hausmannskost) empfehelnswert. Bezproblémové předání ubytování, skvělá lokalita blízko nádraží a jezera. Vstřícnost majitelů ohledně zajištění dětské postýlky. Appartement sublime avec une superbe décoration. Lits confortables. Lock in a great price for Ferienhaus Feuerer – rated 9 by recent guests! 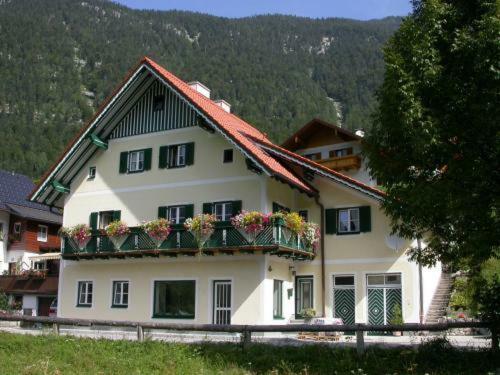 Surrounded by the mountains of the Hallstatt-Dachstein World Heritage region, the Ferienhaus Feuerer in Obertraun is only a 2-minute walk from the beach at Lake Hallstatt. The 720 ft² apartment has 2 bedrooms and a living room. 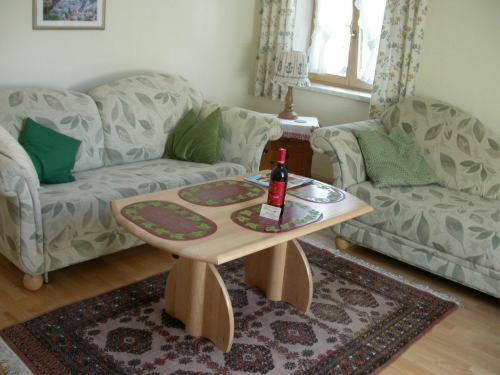 It offers mountain views and is suitable for up to 6 people. Behind the Haus Feuerer, there is a big terrace with mountain views and a barbecue area with table and chairs. A ski rental is on site. 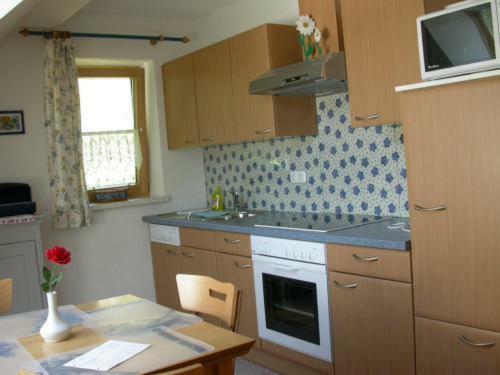 A bakery, restaurants and the train station are within walking distance. Hallstatt and the cable car to the Dachstein caves and the ski area are nearby. Ferienhaus Feuerer has a private parking lot for cars and bicycles, which can be used free of charge. 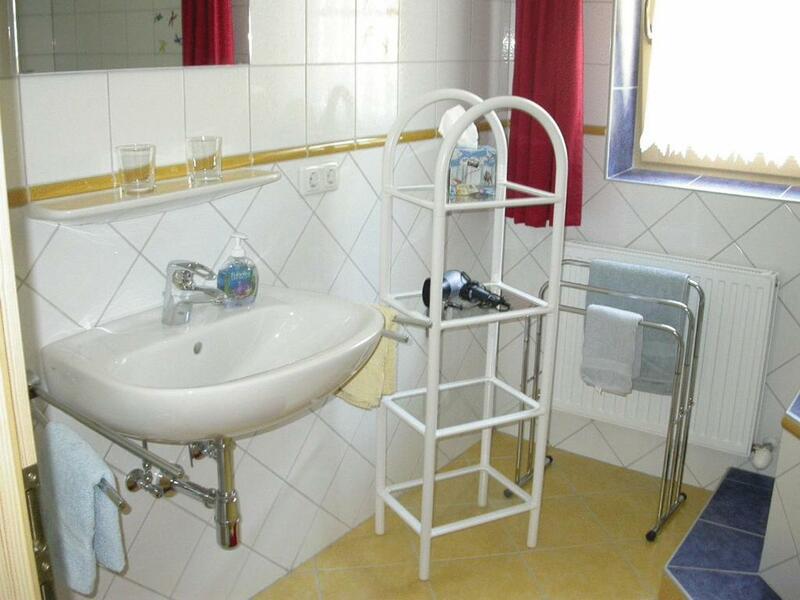 When would you like to stay at Ferienhaus Feuerer? Apartment 2 bedrooms, a living room, and a bathroom. House Rules Ferienhaus Feuerer takes special requests – add in the next step! 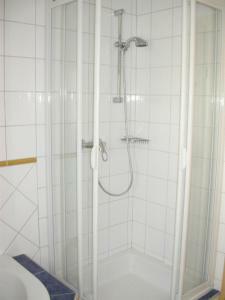 Ferienhaus Feuerer accepts these cards and reserves the right to temporarily hold an amount prior to arrival. Please note that if booked for 1 or 2 people, the second bedroom will stay closed and not available. The second bedroom will be opened only for 3 people and more. Please note that a mandatory final cleaning fee is not included in the apartment rate and is payable directly at the guest house. Please note that the apartment is not cleaned during the stay. 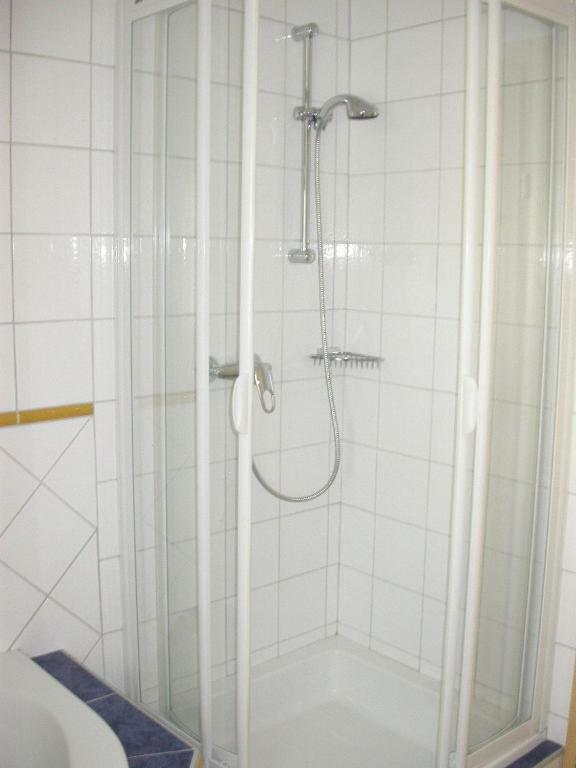 Please inform Ferienhaus Feuerer of your expected arrival time in advance. You can use the Special Requests box when booking, or contact the property directly using the contact details in your confirmation. The bed was overused, the mattresses should be changed, I felt I was lying in a hole. The owner is owing me 10 euros, that he forgot to give me back, although I mentioned it before we left. The cooking utensils were a bit scarce and the was no basic things like salt and pepper. Apartment advertised as having washing machine (necessary with families + kids) but told we'd have to pay for use and owner would wash ☹️. No mention of charge in conditions. Bedding (matresses and pillows) also need updating - were not comfortable. Kitchen requires more cooking utensils (only had a whisk and one other), no oven trays so was diffucult to cook meal. And second set of keys would be useful as doors upstairs/entry need to be locked /unlocked from both sides every time used. Lobby / landings on entry and on all levels hoarded with items which made property look cluttered and unkept. Missing balcony or terrace to enjoy beauty of the surrounding. Mentioning terrace in the offer is misleading. There is no terrace in real sense, where you prolong your being out and your day. Everything was great, clean, comfortable, quiet, the only thing we expected was a terrace or place to sit in the evening and it wasn't.